Here are the facts: No other item in your residence absorbs more wear and tear on a daily basis than your carpet, and no other item can impact your home’s appearance like your carpet can. ServiceMaster Cleaning & Restoration of Central New Jersey has over 60 years of experience in the carpet cleaning industry and in serving Middlesex residential customers. Don’t forget, we also provide carpet cleaning services throughout neighboring Mercer and Hunterdon counties. Additionally, we offer both area rug cleaning and upholstery cleaning should you require those particular services. We will treat your upholstered furnishings and area rugs with a high attention to detail to remove stains and accumulated dirt and filth. 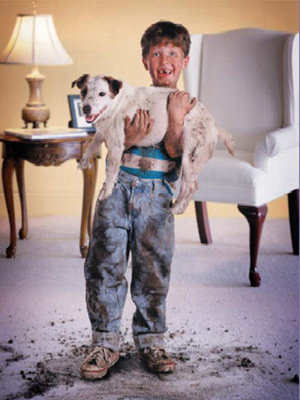 Once we’re finished, we leave your carpets rejuvenated and refreshed. Call today and learn why our reputation for quality, service, professionalism, and customer satisfaction is unparalleled. ServiceMaster Cleaning & Restoration of Central New Jersey has the tools, training, and experience to thoroughly remove dirt and debris. We understand manufacturer requirements for proper cleaning procedures that will not void your carpet warranty, so you can safely leave cleaning your carpets in our capable hands. Why risk damaging your carpets using rented equipment that can leave the carpet too wet – promoting mold and fungal growth – or that leaves detergent behind? Instead, enjoy beautiful results and avoid the headaches of potentially harmful methods. Carpets should be professionally cleaned every six to twelve months. At ServiceMaster Cleaning & Restoration of Central New Jersey, our professional carpet cleaning technicians are equipped and highly trained to fully remove dirt and detergent, and our hot water extraction processes remove most of the moisture from your carpet. Call your local ServiceMaster Clean of Central New Jersey specialist today for a free no-obligated estimate. Our goal is to provide you with the BEST possible service for the most reasonable price. What are the Professional Procedures for Good Residential Carpet Cleaning? Vacuum entire carpeted area,including edges when required. We provide carpet cleaning services to Edison and Princeton New Jersey.